Naturally, the President's recent pitch for a major expansion in community college funding has been greeted with equal parts praise and criticism. As a long-time advocate for collaborative, directed vocational education, to me it simply makes good economic sense. In the State of the Union address, the President reconfirmed to the nation why his plan for free community college is necessary for a productive and competitive economy. Political horse-trading aside, policy makers have known for a long time that investment in state and community colleges is among the most cost effective for local economies. Investment in community colleges gives people stable employment, communities a skills base, and local business dividends, in large part because community colleges (unlike their more expensive four-year counterparts) are uniquely positioned to work with policy makers and business to ensure that curriculum design is in line with local job markets. The logic is pretty straightforward. The greatest gains to investments in education come from raising the floor, not lifting the ceiling. Right now, 9 million Americans are unemployed, even as 4.8 million jobs remain unfilled due to lack of applicants with the necessary skills to fill them. Greater access to community college means more people with the skills and credentials to move into middle class incomes -- an overall economic boon. The success of the President's plan, if enacted, will depend upon meaningful collaboration between educators, policy makers, and industry. That is, we need to come together to lift whatever stigma hovers over community college and view it with the value and prestige it deserves. 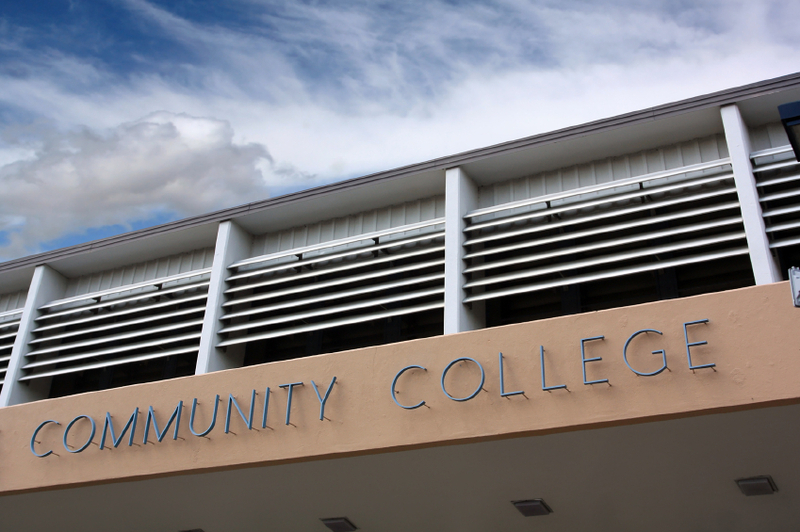 The fact is that community college is often the best place to develop the technical and practical skills in highest demand by today's employers, giving community college graduates a leg up in the job market over their baccalaureate counterparts. Contrary to popular belief, a community college degree offers graduates the opportunity to command wages and salaries equal to -- and sometimes better -- than those of the average college graduate; indeed one-third of two-year college grads with occupational majors, in fact, out-earn their four-year college peers. Since the Global Financial Crisis, the 'college or bust' mentality that dominated thinking for decades has rightly come under pressure. The combined financial and opportunity cost of a four-year degree, and the lack of tangible benefits upon graduation has forced policy makers to rethink some of their foundation beliefs. Given the current oversupply of college graduates, and the conflating problem of tepid job growth, there's no better time than the present to start thinking outside the box. Many young people have been asking the obvious 'is it worth it?' question, and deciding traditional four-year college programs are a poor investment. Partly, it's the cost. The average student today graduates $30,000 in debt and national student loan debt is now at $1.2 trillion. The average tuition at a public institution for in-state residents is $9,139, an increase of 2.9 percent since last year. Since 1974 tuition has risen by 3 percent or more every year. For years, the four-year college degree has increased exponentially in price, while decreasing in value. As any student of economics 101 will tell you, if you expand supply, you risk diluting its quality. As enrolments and tuition have gone up, standards went down, and the prestige and earning power along with it. While this may have been good for college balance sheets in the short-term, its long-term impact is now clear. We have been oversupplying the marketplace with degree-qualified graduates who are underwhelming our corporate HR departments. In a fragile part of the economic cycle, few people want or need generalists, and if everyone else has the same qualification, how does an individual stand out and signal their value? Community colleges work because the model is based on ongoing value creation -- not just for the institution, as in the case of many private colleges, but for the student, the local businesses, and the economy at large. A key feature of successful vocational education models throughout the world is the relationships among local educators, employers, and industry groups, whose interests are aligned. There is ongoing collaboration between stakeholders, where push and pull factors are calibrated regularly to identify workforce needs and create programs that give students a real shot at local jobs. To me, that is what a 21st century education can, and must, look like. If enacted, the President's proposal could increase access to this very type of education -- and ultimately provide 9 million people the path to rewarding careers. Differences aside -- political or otherwise -- we all have economic incentive to support making free community college available to all.